My new Free Schools Webpage shows that currently there is one free school in Suffolk (Stour Valley in Clare), one more has been approved to open (IES Breckland), two are approved to phase 2 and finished consultation awaiting final decision (Beccles and Saxmundham), one more has just submitted and application (Stour-by-Nayland) and another three (Ixworth, Fullfledge and Maharisha) are announced. If all these schools go ahead there will be another 7 secondary schools in Suffolk. I have mentioned before that Suffolk already has free capacity in its secondary schools. In fact according to figures from the DfE there are 10,632 places free. Enough for 10 one thousand children secondary schools. And that would be quite a big school for Suffolk. This is as Wordblog points out nearly one in six of the available capacity. Suffolk has the 17th highest proportion of vacant spaces out of 153 local education authorities. Now the situation is somewhat complicated by the closure of Middle Schools - indeed all but two of these bids are for schools on the site of former Middle Schools but it is clear these schools will add thousands more extra places. This is why so many of us in Suffolk just cannot understand that the DfE keep approving more and more schools we don't need. And it gets worse. 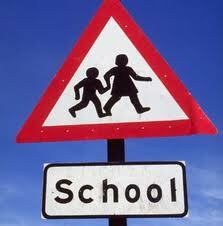 Unlike in London and other places the population of school age children is actually declining in many parts of Suffolk. Even in areas showing population growth the proportion of children is low outside the more urban areas of the County. Ironically the free schools are are planned for the rural parts of Suffolk where the greatest excess capacity and lowest population growth is. Living in a predominantly rural area has pros and cons. On the good side it is a beautiful and unspoilt place to be but one thing you have less of is choice. You don't get to "choose" so many mobile networks as only a few might work where you live (or maybe none of them). There are fewer supermarkets. Same with schools. To me I think it teaches us that we should make sure what we have is as good as it can be. The effect of the proposed new free schools is extremely damaging on existing schools. It stops these schools making sensible plans and choices as they had no idea how many children - and hence what budget they will have. Loss of numbers could seriously de-stabalise these schools leading at a worst case to a "spiral down" into financial and educational disaster. At best case some of these schools could lose sixth forms that the proposed 11-16 schools don't offer further weakening what is not exactly strong 16-19 provision in Suffolk. To the DfE in London though it's too good an opportunity to miss. After all for what is relatively modest (in DfE terms) capital say £4 or £5 million they can have another free school on an old Middle School site which they get "free" from Suffolk County Council. Much cheaper than a new build or expensive school in London. And the revenue costs are essentially nil as they just move (with the pupils) away from other schools. But for some parents too this is too good an opportunity to pass off. A small, friendly local school for free run by a minor public school with the uniform and logo. So what if it doesn't offer those nasty vocational subjects?! Impact elsewhere is ignored or some even more depressingly actually say they don't care. Meanwhile millions of pounds of public money is wasted. Some ends up in the pockets of lawyers, consultants and PR companies. Imagine how even half this money could be spent in a planned and sensible way to benefit all children in Suffolk. The rest could perhaps be spent to provide what is actually needed. Primary school places in London and other cities not secondary places in Suffolk. My child's primary school has a capital budget of £5 500 a year now. No that isn't a misprint. Slashed by 60% by Government cuts that have also seen the end of individual tuition money and staff facing pay freezes and pension cuts. It is a mad, crazy and irresponsible waste of money. "Choice" for the few at the expense of the many.